This blog normally writes about food, not food retailers, but I can;t resist saying something about the news today that Kroger, the country’s largest supermarket chain, is buying Roundy’s, a Midwest operator that’s become known for its new store concept, Mariano’s, which is taking the Chicago area by storm. Kroger’s reduced sodium brown gravy — will it and other Kroger store brand products start showing up in Mariano’s now? Mariano’s is one of the new wave of supermarkets — it has more produce, more prepared foods and a smaller center store footprint, in industry parlance. That’s because people are buying less and less processed, prepackaged foods, no longer trusting big brands to give them healthy products in such formats. I’ve written about how sugar is being demonized as the real cause of heart disease and other health problems. I’ve also said sugar has been the most difficult on the evil triad of foodstuffs — fat, salt and sugar — for me to give up. I’m down to about 100 grams a day, with much of that coming from bananas (16 grams each, I eat two a day, so 32 grams of sugar there to start). The anti-sugar movement got a big push forward this week with new Food and Drug Administration recommendations that we should eat no more than 50 grams of sugar a day. The recommendation, the first time the agency has put a cap on sugar consumption, got massive media play, including this New York Times piece. The Mayo Clinic has a so-called heart healthy recipe page that can give you some new cooking ideas. 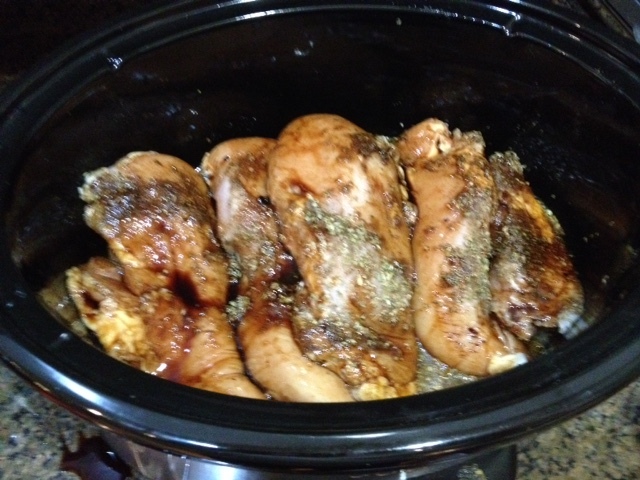 Clean eating crock pot chicken is a favorite heart healthy recipe of mine.